I happened upon this two step smokey eye eyeshadow stick by chance when stocking up on my much loved maxfactor false lashes, it was a freebie deal so I went for it and chose the silver storm shade, a blue-y grey as step 1 and dusky purple for step 2. 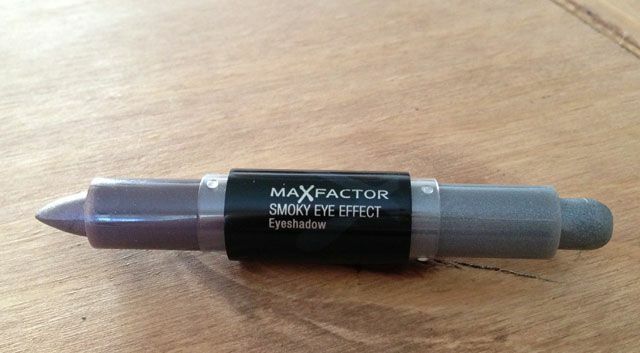 This smoky eye effect product is great for lazy days where i'm okay with being less precise, it's creamy without being too soft and so it goes onto the eye lid easily then blends but doesn't crease as much as the average cream shadow. Don't get your hopes up too much though because it does crease, I've found that after about half a day or so of wear I need to retouch with the stick because the cream has gathered slightly on my lid making for a pretty unattractive look! 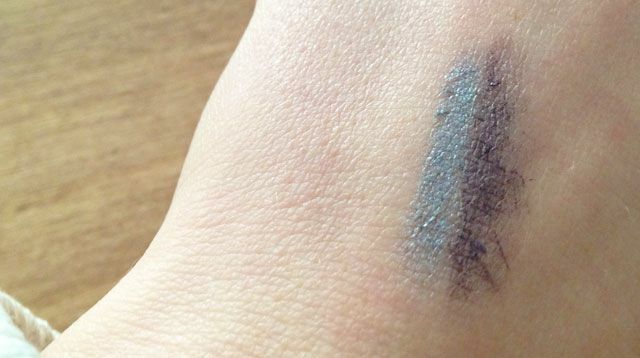 Setting it with a combination of similar eyeshadow shades seems to do the trick in preventing such makeup mishaps. Hi i saw this the other day but i didn't buy it, i'm soo going to buy this now =) Even if my hubby say i look to gothy!! I normally skip maxfactor but i'll definitely take a look now! !